The benefits of beeswax in hair and skin care products are endless. Beeswax is brought to you by adorable worker bees that form the beeswax to raise their young in honeycomb cells. Although beeswax is processed poorly when ingested by humans, it has major skin benefits when applied topically. Beeswax carries antiviral, anti-inflammatory, and antibacterial properties that are essential in fighting chapped skin and bacterial infections that tend to affect us most in the dry, winter months. It forms a protective wall by sealing in moisture in our skin without smothering and clogging up the pores. Plus, beeswax contains vitamin A which has been proven in multiple studies to reduce wrinkles and age spots while re-hydrating and reconstructing damaged skin cells. Dogs enjoy being spoiled too. Why not show your faithful friend just how sweet they are with a little bit of honey. 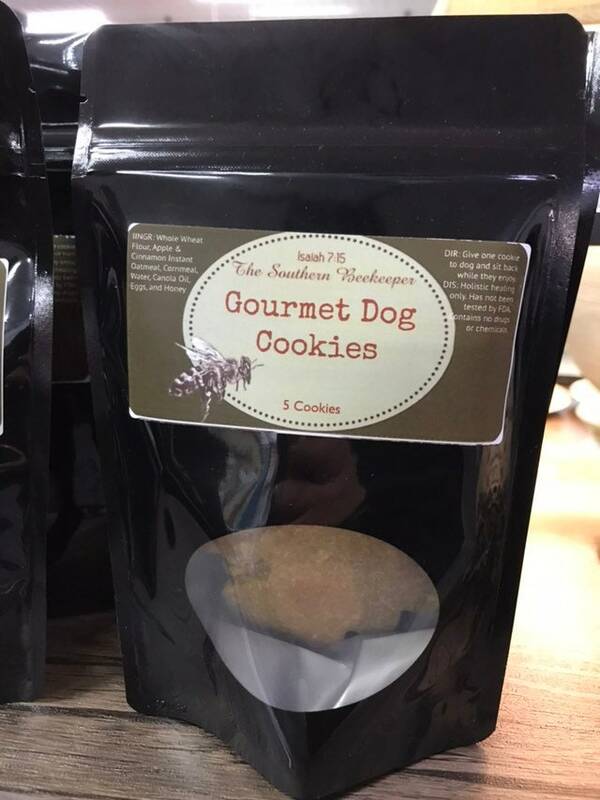 These all natural gourmet dog cookies are made with all natural ingredients and a whole lotta love! Ingredients include Whole Wheat Flour, Apple & Cinnamon Instant Oatmeal, Cornmeal, Water, Canola Oil, Eggs, and Honey. So show your furry friend a little love...we have some to spare. My all natural products are brought to you directly from my 3 honey bee hives or wax purchased locally in Maryland. Made with the mildest ingredients, these products are sure to impress and have you coming back for more.